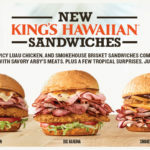 Here are some of the best deals! Love doing up the holidays Disney-style? Then there’s a sale you need to check out now — before decking the halls! Whether you are looking to add some holiday character to your Christmas tree, need new stockings to hang by the chimney with care or hunger for some new Disney dishes, the official shopDisney website can fulfill your holiday wishes. Plus, if you purchase $75 or more at shopDisney, the shipping is free. 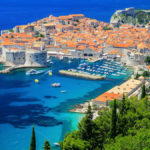 All you need to do is put in the code SHIPMAGIC to score free shipping. This deal lasts through Dec. 31, 2018! 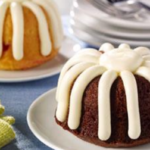 Check out some of the holiday goodies awaiting you on the Disney site. 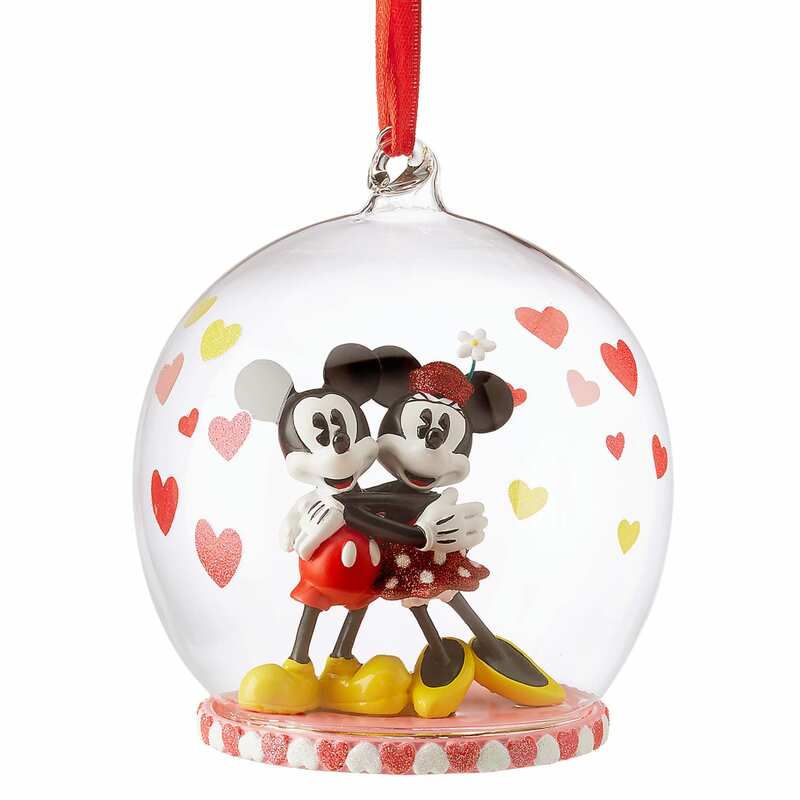 Of course, any Disney-themed tree has to have a Mickey and Minnie ornament. They are the first couple of Disney, after all. This ornament comes from the Disney Store’s Sketchbook collection, which highlights classic characters in vintage style. Say hello to the ornament that may be the cutest on your tree! 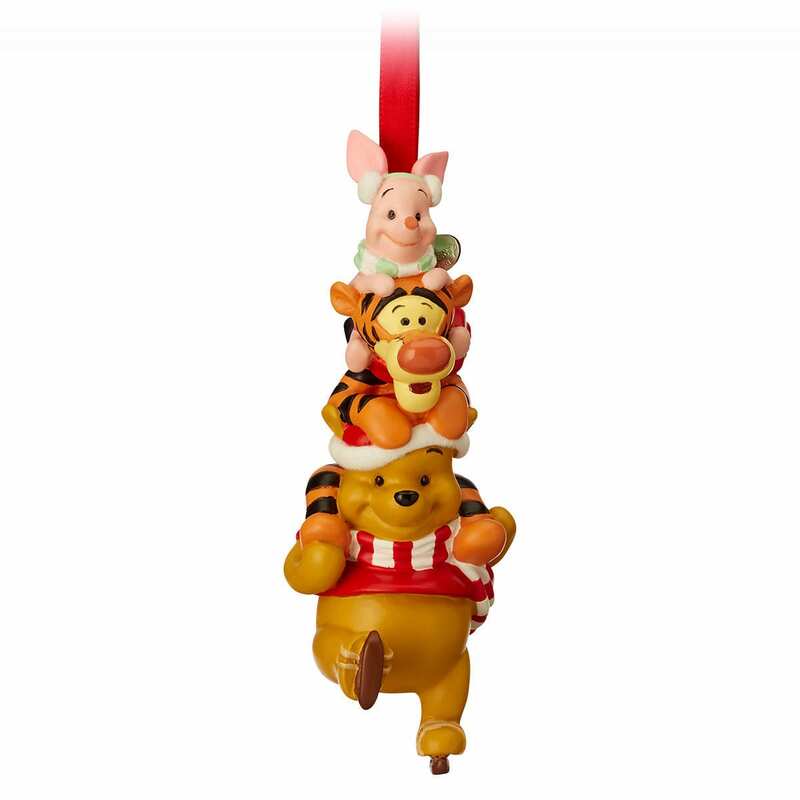 Winnie the Pooh, Piglet and Tigger add some holiday happiness the size of a huge honeypot. A tree skirt puts an elegant finishing touch on any Christmas tree, and this two-toned red skirt features embroidered appliques of Disney characters along the side. 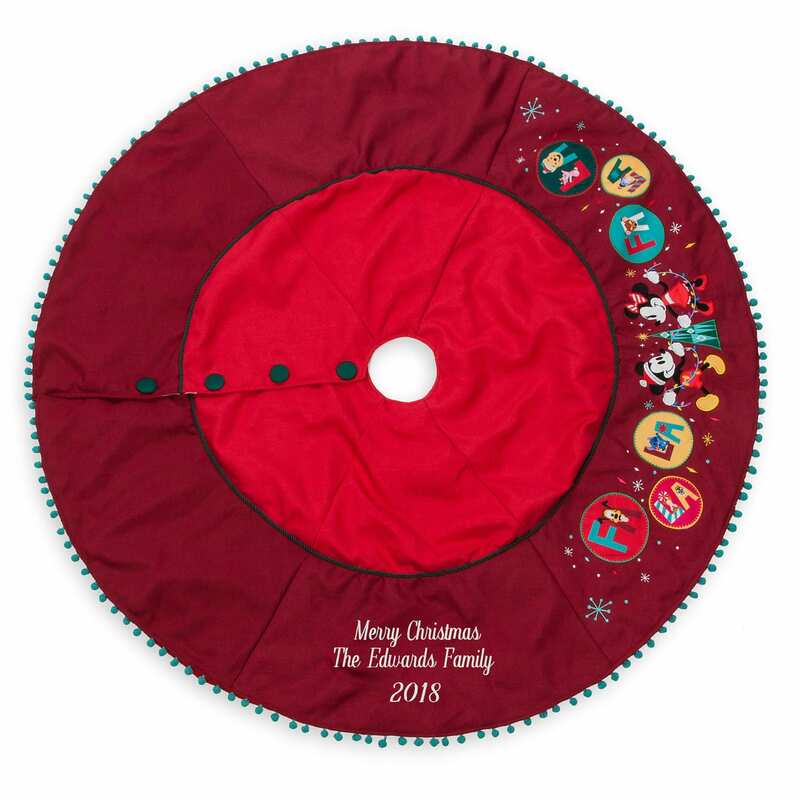 This tree skirt can also be personalized to make a family keepsake. The $5.95 fee covers three lines of text, up to 18 characters each. Kids of all ages will have a hard time keeping their hands out of this too-cute cookie jar. 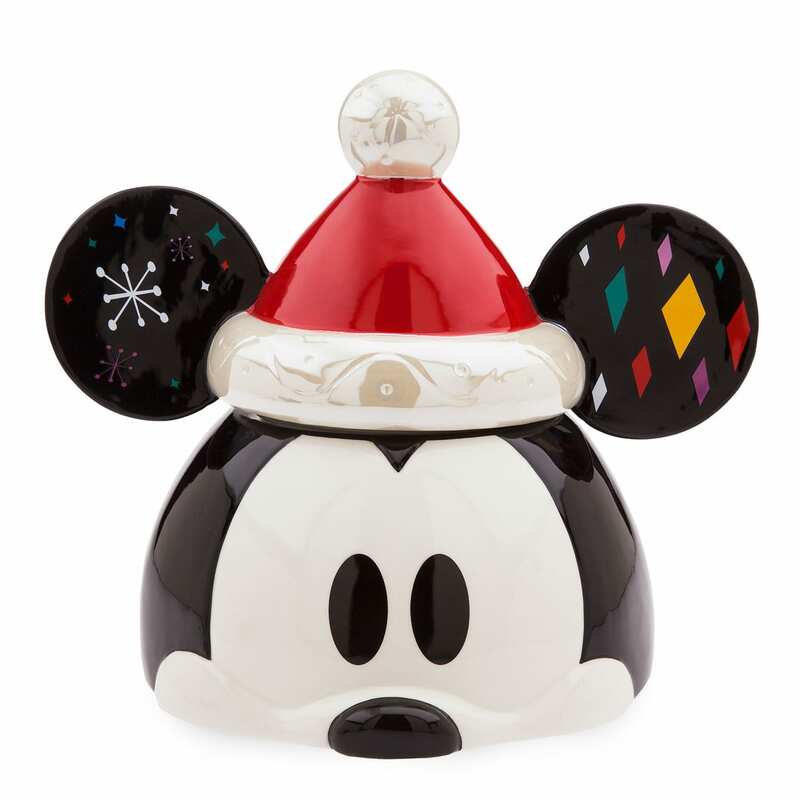 Disney’s main man, Mickey Mouse, is all decked out as Santa for this ceramic jar, which measures 10 inches high, 11 inches wide and 8 3/4 inches deep. And where will you arrange those cookies when guests come over? 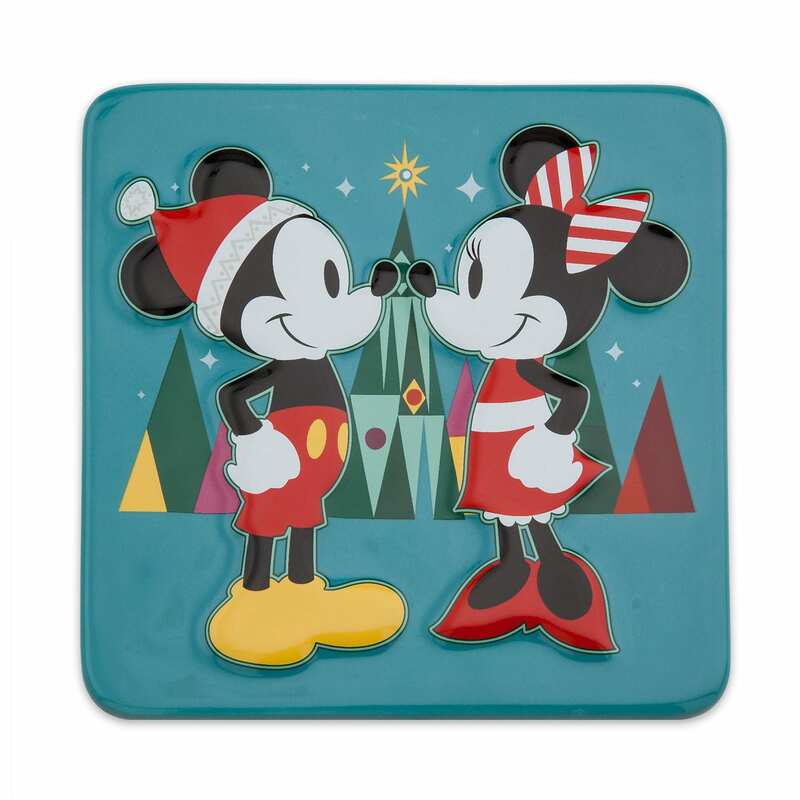 On a Disney holiday trivet, of course! 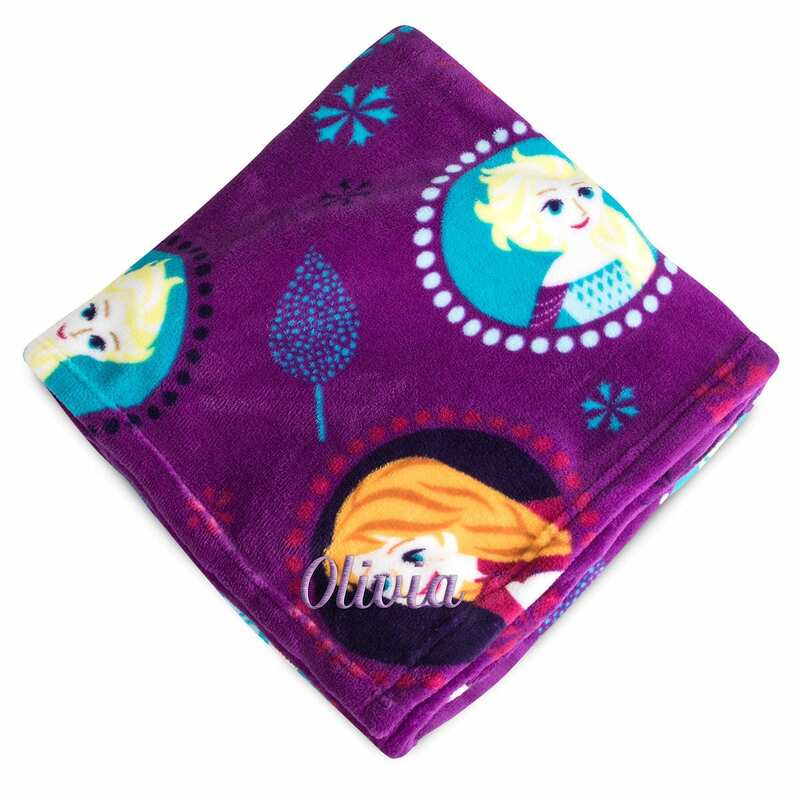 This one is embossed with the iconic Mickey and Minnie, surrounded by a forest of festive fir trees. Is it time to replace those old socks hung by the chimney with care? 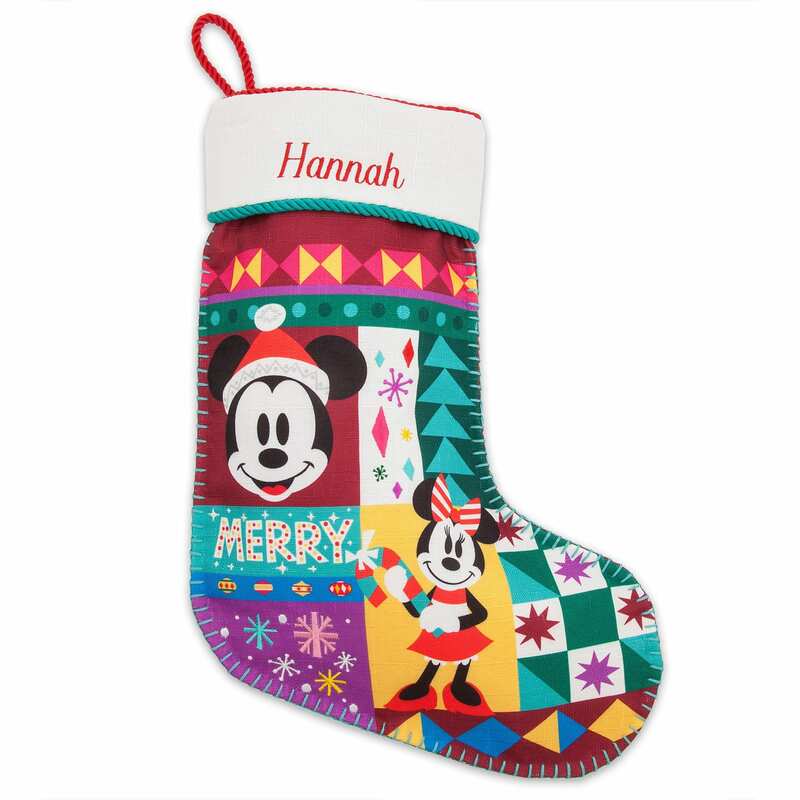 Add a little Disney magic with these colorful stockings. You can get them personalized for each family member, too! Personalization is an additional fee of $5.95. 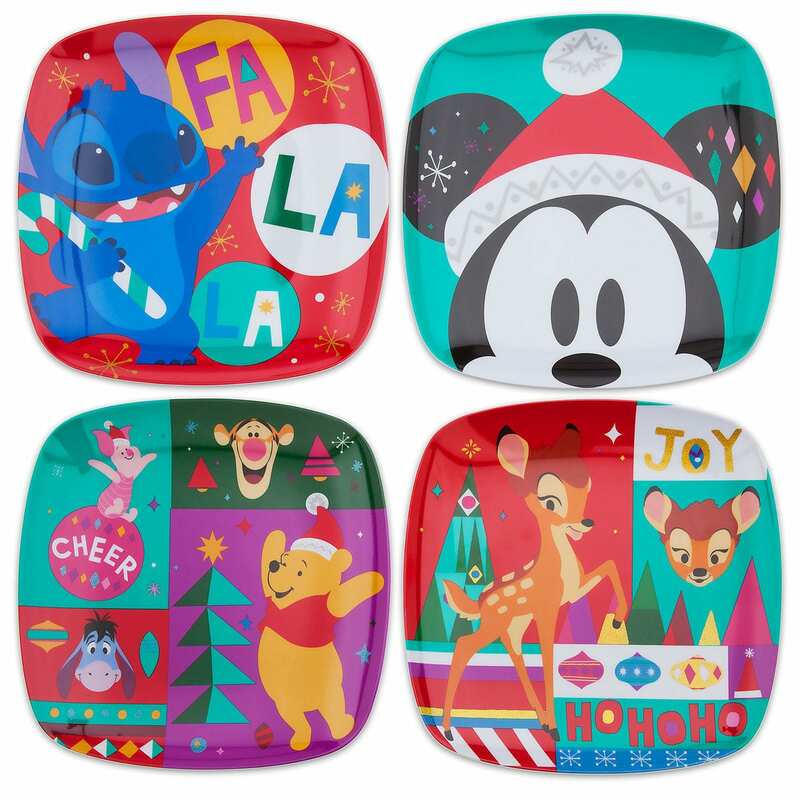 This four-plate collection brings together some of Disney’s most beloved characters, including Mickey Mouse, Bambi, Winnie the Pooh and Stitch. 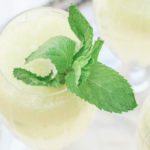 Perfect for serving Christmas cookies, candy or any holiday treat you can imagine. 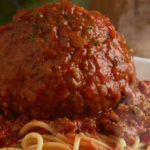 They are even dishwasher-safe! My family loves warm, fuzzy blankets. Add Disney into the mix and you’ve got a guaranteed gift winner. 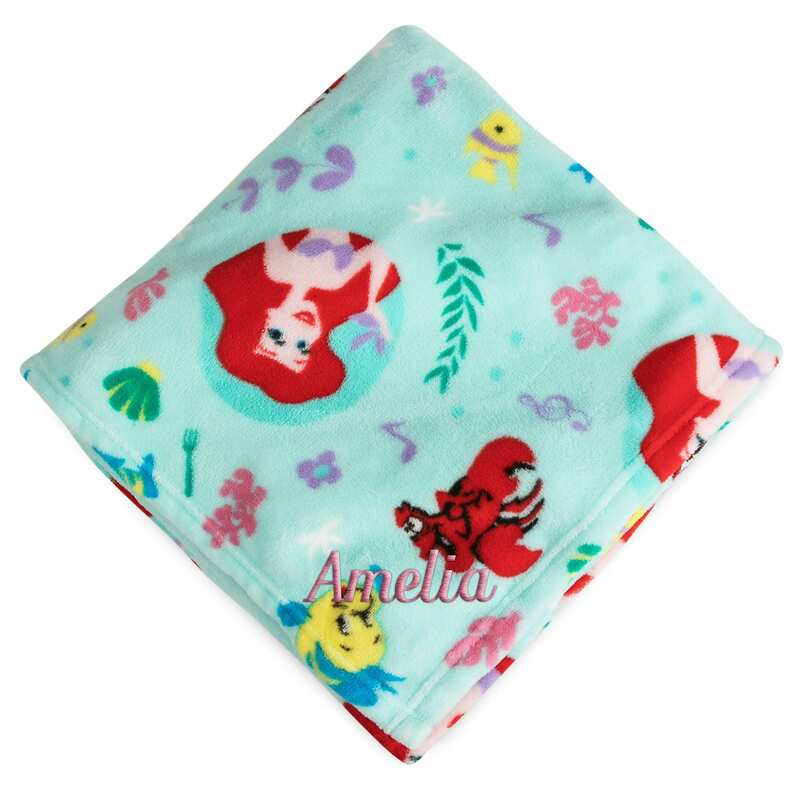 The Disney Store has a variety of character fleece blankets on sale this season. 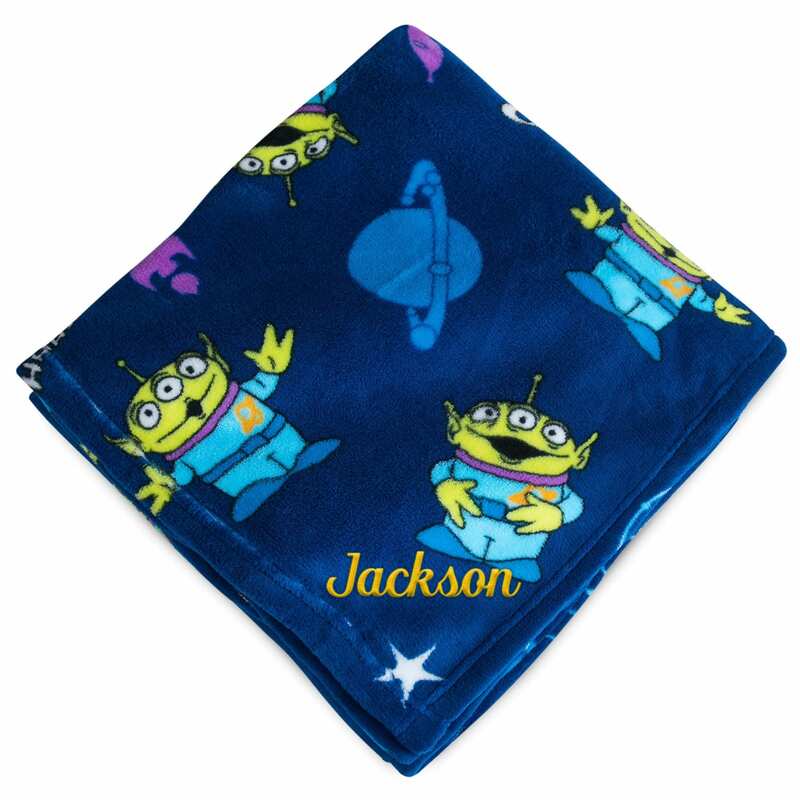 Personalization is available for an additional $5.95.